CARBONDALE, Ill. (AP) — Members of Good Shepherd United Church of Christ are committed to being good stewards of the environment. It is so important that it is written in the church covenant. This week, the congregation moved closer to that goal by installing a solar energy system. The Rev. Kim Magwire, Dale and Jan Ritzel and Rose Bender said the church has worked toward this project for many years. “One of our covenants deals with whole earth and sustainability,” Magwire said. The Whole Earth Covenant says the way the congregation lives out this covenant is by reviewing current practices and implementing best practices. Some of those practices have included using recycled paper for newsletters, recycling, composting, not using Styrofoam and reducing use of bottled water, paper plates and plastic utensils. Even as far back as 1975, the church has addressed environmental concerns. That year, they published a vegetarian cookbook. “This in general is a United Church of Christ initiative,” Jan Ritzel said. A solar project has been discussed by the church council and congregation for years, according to Dale Ritzel. For many years, the project would have come at a tremendous cost. The system is an 8.28 kilowatt solar photovoltaic energy system installed on the north end of the flat roof of the church building by StraightUp Solar. It includes 24 solar panels. Dale Ritzel said a renewable energy jobs bill was passed in Illinois in 2016. It not only provides for training employees to work in solar energy businesses, it offered a way to purchase solar energy. Solar electric system owners have the opportunity to sell Solar Renewable Energy Credits or SRECS, making solar energy a commodity that can be bought and sold, just like electricity. 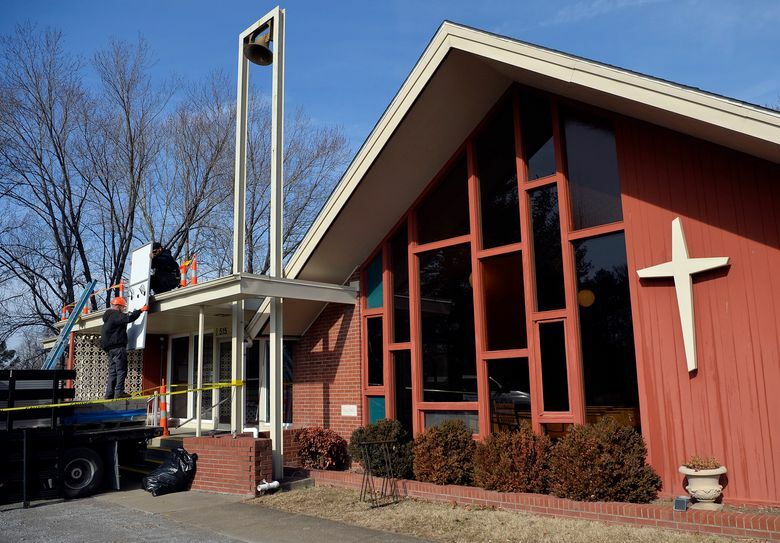 What this means, along with tax credits and other benefits specifically for not-for-profit organizations, is that Church of the Good Shepherd will receive almost 90 percent of the cost of installation back during the first year its solar energy system operates. “We’re saving nearly $1,100 per year on our electric bill. Over 25 years, that’s nearly $28,000,” Ritzel said. He added that the system will also remove 207 tons of carbon dioxide from the church’s carbon footprint. That is equivalent to not burning 201,705 pounds or 100.9 tons of coal, not driving 414,000 miles by automobile (using 21,114 gallons of gasoline), planting 4,823 trees or recycling 654 tons of waste instead of sending it to a landfill. “For this church, it was important,” Magwire said. The project was not affected by a new 30 percent tariff on solar panels because the decision was made just before the tariff was enacted. “Panels are a small amount of the total cost,” Jan Ritzel said. “The total cost of the project was around $23,000,” Dale Ritzel said. The project was expected to be finished by Friday afternoon. Then, Ameren and the city of Carbondale will have to complete inspections before it can be put into use. Good Shepherd is the first church in Illinois South Conference of United Church of Christ to undertake a solar energy project. 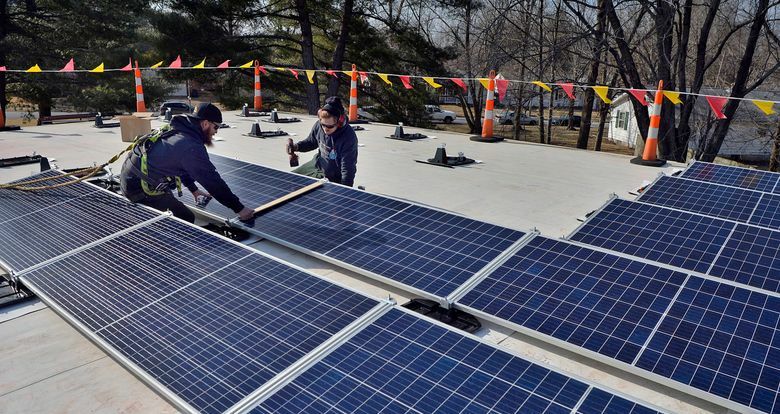 Ritzel believes this is the first solar project on a church in Carbondale and in the region.